The French fantasy/fairy tale film "La Belle Et La Bete" follows fairly closely to the original fairy tale The Beauty and the Beast. You know the drill: Once upon a time a merchant (Andre Dussollier, "Amelie") loses his ships he tries to go home and ends up lost in the woods. He stumbles upon a castle where he's given food, shelter, and trunks of treasure. When he makes to head home to his family he spots a rose which was the only gift his favorite daughter Belle (Lea Seydoux, "The Grand Budapest Hotel", "Blue is the Warmest Color") had asked him to bring her home. He takes one and a fearsome clawed beast (Vincent Cassel, "Ocean's 12", "Black Swan") attacks him. 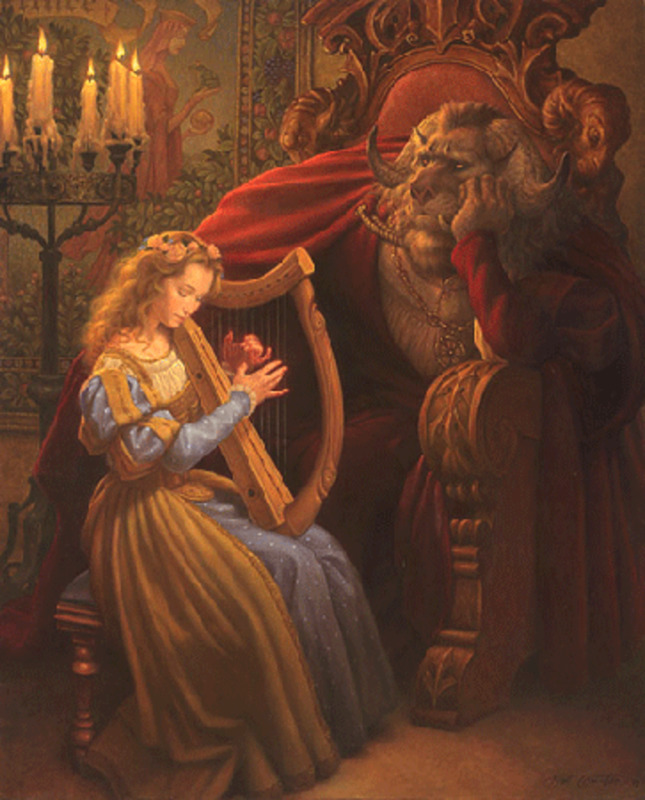 The beast orders him to go say goodbye to his family, then return to his castle because he demands a life for the rose. 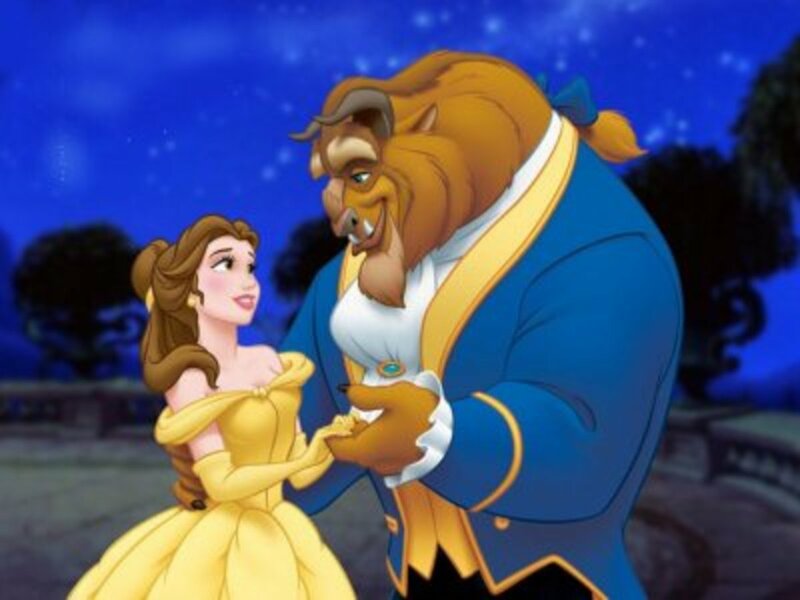 Belle feels horrible that her father must return to the beast's castle all because of her request for a rose. She takes his place and is held prisoner at the beast's castle. There are some differences from the original story, but I don't want to give away much more details. 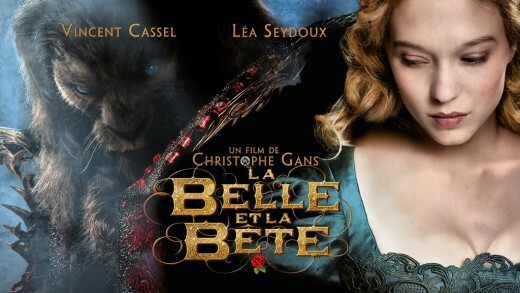 Review of "La Belle Et La Bete"
When I saw trailers for this movie I was stoked. 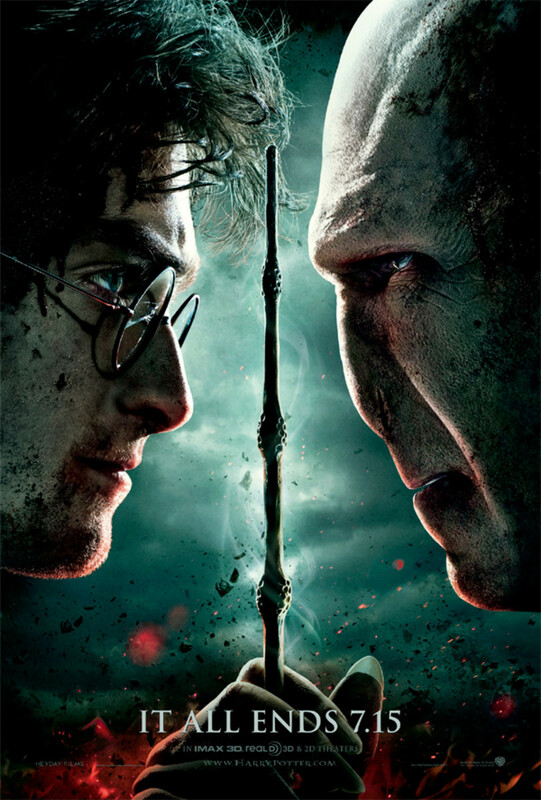 It aggravated me that it wasn't placed in theaters in the United States when it was released. I read internet rumors that Disney was deliberately blocking it from being distributed anywhere else because they're doing some Beauty and the Beast remake of their film take on it (I know, yet another reimagining of one of their films.) But that was just a rumor. I'm not convinced Disney would especially care if it had been in more theaters because it is different from their version of "The Beauty and the Beast" fairy tale. Last night -after much anticipation- I finally saw an English subtitle version of "La Belle Et La Bete". I was not disappointed in my expectations and even had my expectations surpassed. My expectations for this movie was that it should follow very closely to the original fairy tale. Don't get me wrong I love the Disney version and this one old Czech Republic version but both of those made some significant changes from the original story. The Czech version also suffered from poor costume designs for the beast so I was hoping for a CGI or better costumed version of the beast. This beast's design is magnifique. While so many people complain about CGI I actually like it in fantasy films because it makes it the characters seem that much more surreal. I tend to glance over imdb before or after movies that I watch, so I saw a lot of complaints that Belle is blonde, that there's too much CGI, and that the story line is awful. First of all who cares what color hair Belle has? It's never specified in the fairy tale story what color hair or skin Belle has. It's just mentioned that she's ridiculously beautiful. Lea Seydoux seemed perfect as Belle. She has a beautiful heart shaped face, perfect rose petal lips, and lovely blue eyes. There's more than one scene in "La Belle Et La Bete" that I couldn't help thinking she looked gorgeous. In one part of the movie she dips her hands in water and even her hands looked elegant, as they are petite, long fingered, and likely had been well-manicured for the movie. Her blonde hair looked so beautiful and fit to perfection with her costume colors and makeup. I know many people grew up with the Disney version of Belle, but this version is hardly the first time a blonde was cast to portray Belle. The Czech film version had a Belle with strawberry blonde hair. There's been a few versions were Belle has a powdered wig. I've seen different book versions of the fairy tale where Belle was illustrated with brown, blonde, or red hair, so honestly her hair isn't something specific like say Snow White's hair which is specified as being black as ebony with skin white as snow. The CGI in the film was not overloaded, While it might not have been crazy intense like "Avatar" the CGI was tastefully done. There was never a scene where I was like: "there's too much CGI in this frame! Someone do something! Call the anti-CGI squad!". I think the biggest reason why I wanted to see "La Belle Et La Bete" after viewing trailers for it was the glimpses of the beast's CGI design. I was like: "Finally! a live action Beauty and the Beast with an awesome mostly CGI beast that fits exactly with how I imagined him!". Perhaps the people complaining about the CGI disliked the servants' CGI design. Even they don't bother me though. When I saw someone complaining that the story line was awful I couldn't help rolling my eyes. 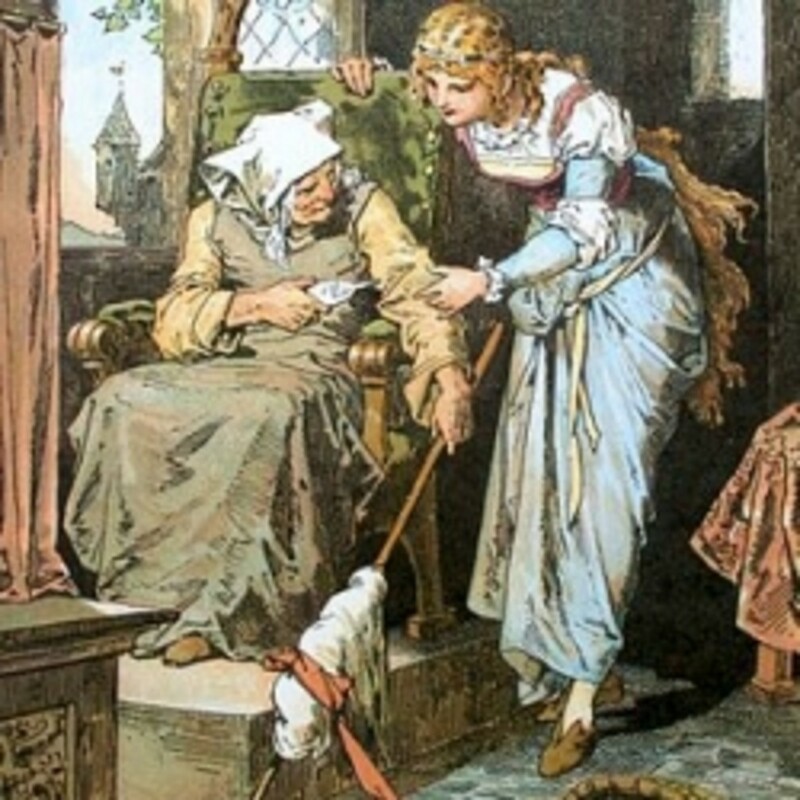 It is closely based on the original fairy tale with some changes and additions. It isn't based on "The Scarlet Letter" classic novel that's so full of symbolism that people are forced to study it at length and have done so for decades. I'd say it handles being based on a fairy tale very well in it's script. It also shows more of the beast's backstory which was a plus because he's barely fleshed out in the fairy tale. As I watched it it reminded me of how I used to imagine the characters and the beast's castle when I'd read the classic fairy tale. It has a dreamlike quality to it that is not in movies often enough. If I had to guess I'd assume people who thought the story line was bad don't speak French and don't enjoy reading subtitles. If you don't like reading subtitles there are some versions that were English dubbed. Personally I do think listening to the French was interesting and I enjoyed reading the subtitles as I watched this. I even did my best to place how the subtitles related to the words they spoke. Again, subtitles are not for everyone but it's sometimes enjoyable to watch a film in another language once in a while. I'd say that "La Belle Et La Bete" is perfect for people who love fairy tales, adventure, and fantasy films. It's similar to movies like "Pan's Labyrinth", "The Brothers Grimm", "Snow White and the Huntsman", "Alice in Wonderland", "The Neverending Story", "Disney's Beauty and the Beast", and "Labyrinth". I give it five out of five stars. It was just a great, refreshing watch and you won't regret taking the time to watch it. Do you want to see "La Belle Et La Bete"? I don't know that Disney holds all the blame. I'm not particularly impressed by the AMC theater chain, either. About five years ago, they bought the Kerasotes chain. While AMC shows some indie films, they rarely bring foreign language films to their cinemas - and the AMCs I attend have two buildings and a total of 28 screens. I think the only way a film like this will get wider American attention is if they made it in IMAX 3D.